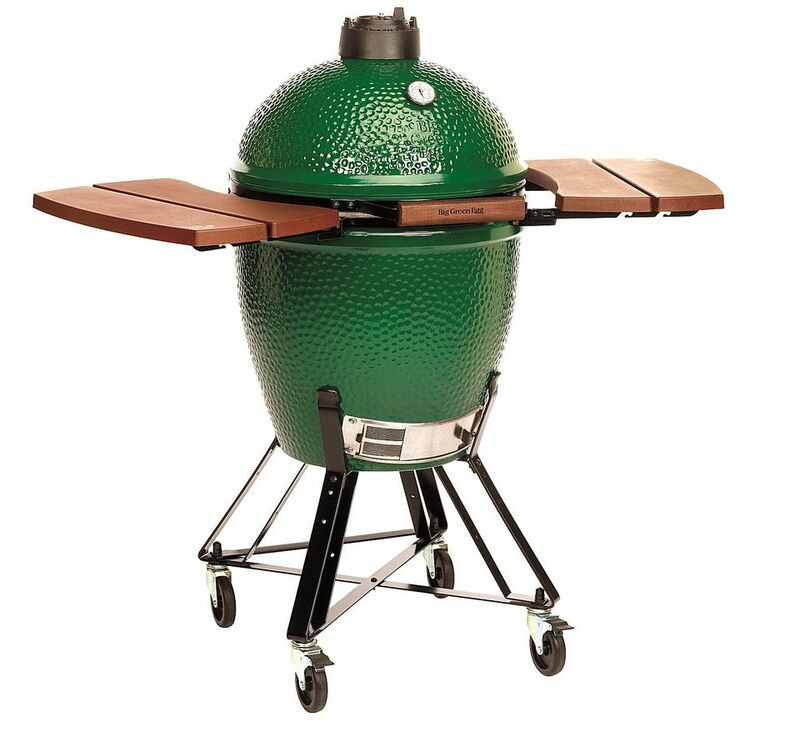 Big Green Egg has been producing these Kamado Style grills for decades. This one is the most popular of their models and is big enough to cook one 20-pound turkey. What makes this unit great is that while it can produce high temperatures due to the focused heat of its ceramic shell, it can also hold low temperatures making it a great smoker. It's the versatility of the egg that makes it stand out as one of the great charcoal grills of our time. With many accessories available there really isn't much this charcoal grill can't do. At around $800 this large grill is for the person who plans to do a lot of cooking. The Big Green Egg is a legend among backyard cooks. With the ability to hit temperatures over 600 degrees or hold them as low as 200 degrees, this unit is perfect for searing steaks and smoking briskets. The Large unit is the most popular of the Eggs and the 18-inch diameter cooking surface (255 square inches of primary cooking space) is large enough to hold a 20-pound turkey. This gives you space to grill or smoke plenty of food. The ceramic shell of the Big Green Egg is strong and able to withstand a wide range of temperatures so you don't have to worry about it cracking if you heat it up on a freezing cold day. What makes this grill work so well is that the heat is held inside. Even at its highest temperature, the outside remains relatively cool. Because of this efficiency of the design, you will find that you don't use as much charcoal as you would on comparably sized grills. When you are done cooking you can close up the vents to stop the remaining charcoal inside from burning and hence save it for your next cookout. Heat is controlled on this smoker-grill by a vent in the bottom of the unit and another one on the top. These vents are simple to use but give you a great deal of control. In fact, we find that you get better heat control on this charcoal grill than you do on most gas grills. Because of the highly insulative design of this grill, it is easier for raise the temperature than lower it, so once the charcoal has started to burn, limit the airflow and slowly open the vents until it reaches the desired cooking temperature. Big Green Egg is renowned for its service and support so you can really trust making this investment. Eggs tend to last for a long time so while the $850 price tag (check current Big Green Egg Prices) on this Egg large may seem high divide that out by the ten-year minimum you will get out of the grill and it really is a reasonable investment. This grill is only available through authorized dealers. Looking for something a little larger? Try the Big Green Egg XL. Smaller? Try the Big Green Egg Medium. Is the Char-Broil Kamander Kamado Charcoal Grill Worth the Price?